It’s always enjoyable reading Jabberwocky. Lewis Carroll’s utterly nonsensical poem written in 1872.
Who said everything had to make sense in any case? Clutch your vorpal sword & mark those frumious plots. 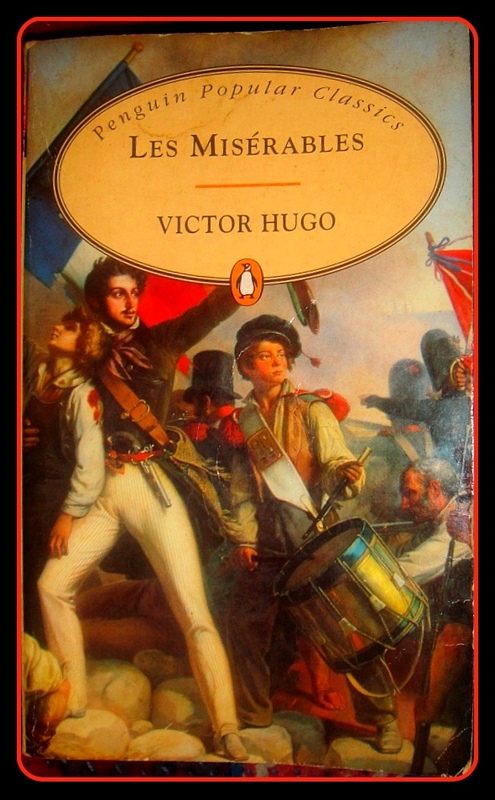 Found myself reaching out for Victor Hugo’s masterpiece Les Misérables. Nothing wrong with that. Just that I was starting to read it for the third time. Again, not owing to a shortage of books to read. In fact many of my books have been lying on the shelves long unread…asking to be read. And I looked beyond the rest & reached out for this, one of my favourites. It was plain obvious the book had been read a couple of times earlier, by the passages I had marked. Jean Valjean is convicted for 19 years for stealing a loaf of bread (with charges added on), the grace of the Bishop Bienvenu who offers him rest for the night he was out on parole when no one else would have him & the events which follow lead to his eventual salvation. The Thenardiers, a vile & wretched couple whose combined evil minds are always indulging in some mean scheme; little Cosette, the unfortunate little girl who became the target of the Thenardiers greed & contempt; the rigid police officer Javert & his ruthless attempt to trap Jean Valjean are characters that can never be forgotten. Jean Valjean was found guilty. The Penal Code was explicit. There are terrible occasions in our civilization, those when the Law decrees the wrecking of a human life. It is a fateful moment when society draws back its skirts and consigns a sentient being to irrevocable abandonment. No one is more avidly curious about other people’s doings than those persons whom they do not concern. His tavern-sign bore witness to his feat of arms. He had painted it himself, being a jack of all trades who did everything badly. In every small town, and this was particularly so in Montreuil-sur-mer, there is a class of young men who squander an income of 1500 francs in the provinces much as their peers in Paris squander an income of 200,000. They belong to the great species of nonentities who own a little land, a little silliness, and a little wit; who would look like clods in a fashionable salon but think themselves gentlemen in a tavern. For those even considering Hugo, Les Misérables is a great place to start & it will not disappoint. More to go, can’t wait to finish it ! I was thinking about Aunt Agatha recently. No relative of mine but as any PG Wodehouse fan will recall, Aunt Agatha is that fiercely formidable character who leaves a well…deep & lasting impression. While everyone will recall Jeeves, Aunt Agatha has her spot in the sun too. Some characters always make you compare them with people in real life who fit the job description. Aunt Agatha for example is the kind you either have within your own family or with luck, escape having. P G Wodehouse is one of my favourite authors for that dose of subtle, wry humour & sarcasm that pricks. Reminds me, I got to pick up another PGW to read. 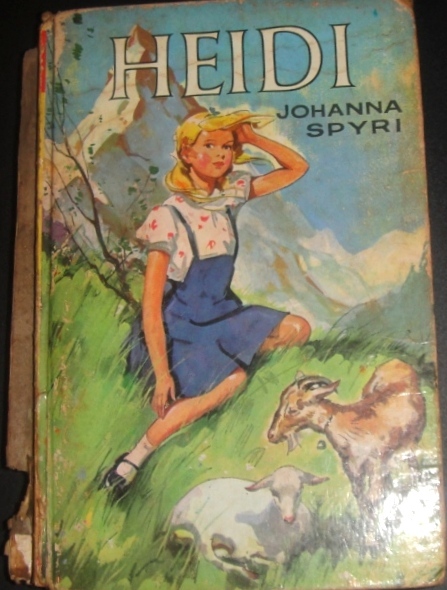 Heidi by Johanna Spyri was my all time favourite book as a child. Over the childhood years I read the book 4 to 5 times. The above picture is of my original book…rather worn out though it be. Heidi & her life up in the Alps with her Grandfather have been etched in my memory. Reading the book made me imagine her life in the mountains. It was all so vivid. I am grateful for reading which sharpened our imagination as kids. Looking back I see the value of not having been brought up on internet – youtube, google, wikipedia. Instant information on any topic. We had to imagine while reading. Period. A few years ago I got an opportunity to visit Switzerland & see the Alps. Such an incredibly beautiful country. Yet it was not very close to my own dramatic imagination of Heidi’s life up in the Swiss mountains. I am thankful for what we did not have those days. I stumbled upon the title of this book & was intrigued. Written by John Rice & published almost 70 years ago, it’s not a book to be easily found, in India at least. I asked my dear friend in the US to get me a copy when she came to India. She faithfully did. Also with utmost sincerity & alarm in her eyes she wanted to check if all was ok. With me. Reading books such as these. Extremist she thought. She wondered if I had tipped the balance & gone on to become a fundamentalist Christian. I laughed. And I laughed. And I laughed some more. She was relieved. I reassured her this was just curiosity to read something I came across. Relief spread all over her face. This book is written by a pure old time, fire & brimstone preacher. He advocates that we follow the scriptures that show a woman her place. 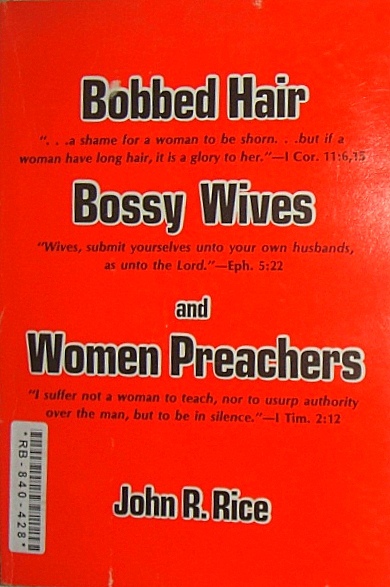 He uses scriptures in defence of the same to richly admonish women who wear their hair short, are bossy halves to their husbands & preach. Rotten sinners, we. I must confess that having been saved by Grace, I found the book to be way too strict, almost legalistic & suffocating. Once I started reading this book, I found it hard to put down. So a large part of the Sunday went into i-must-finish-the-book mode. It’s the one word which describes Shame by Jasvinder Sanghera. 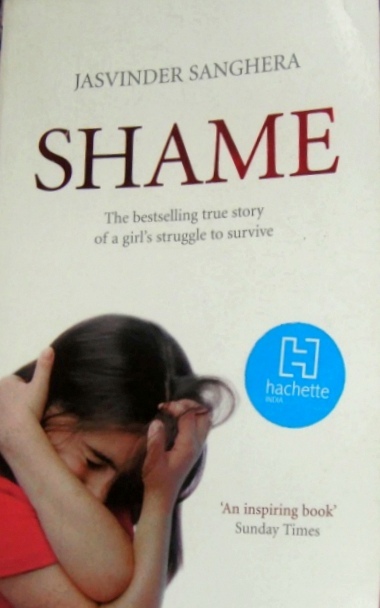 Brutally honest yet incredibly sad, as she narrates her escape from a forced marriage as a teenager in Britain. India is known for its tradition of arranged marriages which have very often been the object of wonder, ridicule, surprise, shock…in many other parts of the world, where the concept is almost alien. I think arranged marriages come with its own intrinsic value & India boasts of happy marriages that have withstood the storms of life. It is not uncommon to see couples blessed with long life go on to celebrate their 50th, 60th & beyond wedding anniversaries. A forced marriage is another matter entirely. Especially if it leads to the one in question feeling traumatized & more a victim than a bride to be. While Jasvinder’s story may be a representation of several others hidden away from society, this is her story. She has been bold & candid in sharing her personal struggle & it really touches a cord. I have never understood the concept of maintaining family honour, even at the cost of personal trauma & suffering. That family honour must be maintained, the community must always be kept in mind… but honestly when the battles of life rage, honour will remain just that – a word. One can’t help but feel her pain, the tragedy of being ostracized for life by those she held closest & eventually her life which was a series of consequences to the choices she made along the way. Definitely a book worth reading & passing on.